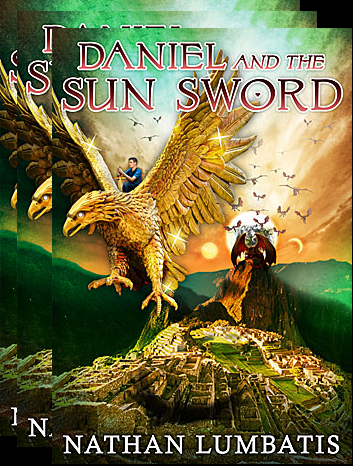 In Daniel and the Sun Sword, Daniel receives a dream from the Father that gives him guidance. Is such a direct revelation to an unsaved person far-fetched? Ali was a devout Muslim from Southeast Turkey, but his battle with alcoholism was so severe that he became abusive toward his family, and moved to a different city to protect them from himself. In an attempt to please Allah despite his addiction, he went on a pilgrimage to Mecca. While there, Jesus came to him in a dream, touched his head, and said, “Depart from here. You belong to me now.” When he awoke, he was confused and struggled to believe his dream. But then, he heard the voice of Jesus again: “Ali, you belong to me. You will not make this pilgrimage. Leave this place.” The next day, he heard the voice of Jesus again, this time telling him to return to his family. He obeyed, and reconciled with his wife after disclosing to her that he had become a Christian. After some time, she joined him in his faith. Dini came from a broken home filled in Southeast Asia—a home that was filled with infidelity. After losing respect for her parents, she threw herself in with troublemakers at school. But when she saw their decisions leading to teen pregnancy, incarceration, and expulsion from school, she realized that was not the life she wanted. She then decided to turn to religion for answers. One night during Ramadan, she was praying fervently for God, whoever he might truly be, to reveal himself to her. A bright light suddenly appeared in her room and she saw a figure of man approaching. He wore a blazing white robe, but she couldn’t see his face, yet she knew immediately that it was Jesus. He held out his hand and said, “Follow me.” Dini, however, was confused. “Lord,” she said, “I’m a Muslim. How can I follow you?” But then her hesitation fell away, and she told him, “God, if this is the way of truth, then I want to follow you.” At that moment, she felt a transcendent peace as Christ walked away. Her family eventually discovered that she had become a Christian, however, and began persecuting her. At 16, she had to leave home, but was able to find part-time work to support herself through school. Despite the brokenness and coldness of her family, she was able to forgive them and continues to live for Christ today. Khalil, a devout Muslim, joined a militant Islamic group. The leader of the group, however, eventually decided that military opposition to the Christian missionaries in their region was not working. Rather, he ordered Khalil to write a book discrediting the Bible. Khalil was “repulsed” that he would have to read the Bible to accomplish this, but obeyed his leader. After studying it from cover to cover, however, and comparing it to the Qur’an, he began viewing the Bible as neither inaccurate nor corrupted, and even felt there was evidence in the Qur’an pointing to Isa (Jesus) as the Messiah. Torn between the two faiths and confused, he began putting his thoughts to paper. When his leader discovered this, however, he threatened to kill Khalil if he ever showed his writings to anyone else. After several more life-threatening situations and continued confusion, Khalil was desperate for Truth. He prayed to God from his heart for guidance. That night, Jesus appeared to him in a dream and explained that he was the Messiah, and that the Bible was the Word of God. Despite the threats from his leader, he began interacting with local Christians and eventually joined a church despite persecution. *While I find Richardson’s testimony convincing, I do not necessarily agree with every conclusion he draws from these examples. Amazon should be shipping the books pre-ordered through their website very soon! This entry was posted on August 29, 2015 by nathan.lumbatis. It was filed under Daniel and the Sun Sword news and updates and was tagged with Book message, launch, ordering.